Successfully Added Santa Webcam - 640x480 Resolution + 30FPS to your Shopping Cart. 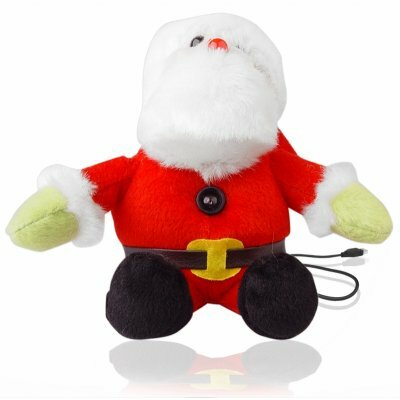 High quality 640x480 pixel resolution, 30 fps Web Camera/ PC camera embedded inside a cute looking Santa doll, just in time for Christmas. Really get in the holiday mood whenever you do a online video call with your friends and family, and show off your Christmas spirit in the workplace or at home. This is a holiday themed Chinavasion wholesale product that will only be on sale for a limited time, so pick yours up today, or buy in bulk for huge profits in resale.